Hawaii enjoys warm, sunny weather for the entire year, but the crowds swell at certain times – along with hotel rates. NFL fans descend on Hawaii before the Super Bowl for the Pro Bowl in January, for example. In early October, the Big Island (Hawaii) hosts the Ironman Triathlon World Championships, which fills rooms to capacity. And never is Hawaii more crowded than in the summer months of June, July, and August, when families pack the islands. For better rates and smaller crowds, try fall. When kids go back to school, hotel prices drop. The same is true of later spring, when winter vacationers have headed home, but summer vacationers have yet to arrive; just avoid spring break which generally happens for most students in February–March. Here's a sampling of Hawaii hotels that offer clean, comfortable accommodation at a reasonable price. 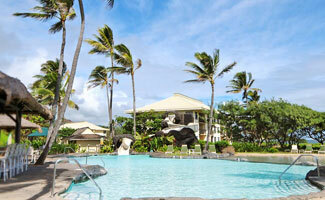 Close to the airport and also steps from the beach, the Maui Seaside Hotel is a great value. The hotel is known for accommodating guests well after check out time regarding activities, a quick meal, or a room to change clothes before your flight, so if hospitality goes a long way with you, book your vacation here. Keep in mind: Low rates with promo codes are offered from time to time on the site. Beautiful scenery, great pools, and a convenient location for seeing all that Kauai has to offer, the Kauai Beach Resort will give you the most bang for your buck. Hike up Waimea Canyon or take a helicopter ride over the Na Pali Coast. Be on the lookout for car packages, free room upgrades, and on-site festivals when booking. Easy access to Volcano National Park, Dolphin Bay offers cozy rooms with a fully equipped kitchen and lanais (patios or balconies) overlooking tropical gardens. The sweetest selling point? They have complimentary breakfast with fresh fruit from the property’s banana and papaya trees. Plus, the hotel is close to the sites and shopping of downtown Hilo. Located right on Kaanapali Beach, this hotel has the best of both worlds. While the rooms are a little on the small side, the hotel is part of the Royal Lahaina Resort, so guests have access to all the amenities, while paying much less for their room at the inn. Guests can enjoy full use of the resort's tennis courts, golf courses, pools, shops, and they can also take classes to learn the art of lei making, tiki carving, and basket weaving. Reduced rates are offered throughout the winter and summer seasons. A quaint, historic building, Hotel Lana'i is all about making you feel at home. Everything on the property is a step away and the staff is very hands-on, determined to make your stay special. Rent a jeep, go horseback riding on the beach, or take an unforgettable sunset sail. Centrally located on the island of Kauai, the Plantation Hale Suites has everything you’re looking for in a Hawaiian vacation: Spacious rooms all with complete kitchens, a helpful on-site concierge, three pools, and amazing views of the ocean. 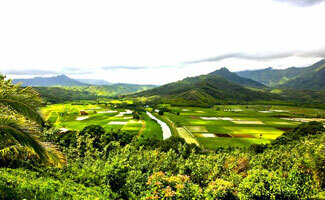 The location is perfect for guests who want to explore all that Kauai has to offer. The hotel offers a variety of special rates and package deals through their website as well as sites like Living Social and Travel Best Bets. The Aqua Bamboo Waikiki hotel is an eco-friendly, Asian inspired boutique hotel. With specialty vacation packages like the Three Night Stand – Waikiki Romance Package and the Snooze-N-Crooze Oahu Stay & Drive Package, the hotel caters to guest’s interests when offering deals. Take a trip to the Honolulu Zoo, or stroll along Waikiki Beach in between shopping trips to the International Marketplace. Packages run for a limited time and are ever-changing throughout the year. With a great location, amenities, and service, the Maui Coast Hotel offers guests the best value during their stay. Enjoy a happy hour each night, live music, and comfortable rooms. A daily charge of $17.95 per guest provides free shuttle transportation and use of bicycles. Offered packages include car, golf, sweetheart, and wedding deals. This newly renovated hotel features an art gallery, accommodating staff, and an exciting town a few minutes away. Free activities are available to all guests and include Hula shows, Kona coffee tasting tours, and visits to the Hilo Zoo and Gardens. To make the most out of your stay here, choose from one of the hotels bundled packages which offers resort and food credits, free tickets to shows, and discounted rates on an extended stay. Another of Hawaii’s boutique hotels, the New Otani Kaimana is small and quiet for those who want a more relaxing getaway. Close to the beach and away from the tourists, one of the more appealing deals offered by this hotel is the all-inclusive package including airfare, room, and car service. What are some of your favorite budget-friendly hotels in the Hawaiian islands?